This is a very unique episode recorded in a shipping container at Golden Plains music festival with Ben 'Tuffy' Lee. Plus a bonus poem from Emilie Zoey Baker recorded by the river at Fairfield Boathouse. Cookie Baker is an incredible singer-songwriter and I am bloody thrilled to have Cookie as my special guest this week. Welcome to Episode 25, we are still alive! Happy quarter century to us. Madison Griffiths is an artist, poet, activist and podcaster. She was co-host of the podcast No Chill. And is writer, producer and presenter for her newest podcast Tender, the story of what happens when a woman leaves an abusive relationship. 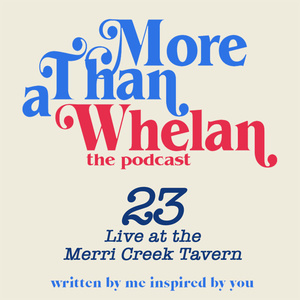 To launch Season 2 of More Than The Whelan the show is recorded before a live audience, for the very first time, at the Merri Creek Tavern in Westgarth. All DOG themed. Just poems, stories, songs and conversations about dogs. Ben Mastwyk is the Liberace of the Australian indie-country scene. He brings the flash and the style but backs it up too with brilliant songwriting and psych tinged arrangements. Sean has a chat to Ben over his dining table about power animals and the inspirational power of flâneuring, among other things. The super talented, proud and passionate Nel Mama Boho joins us in the studio for Episode 21. Nel's impressive resume includes producer, writer, journalist, host, actor, poet and comedian! Her presence is pure fire. Sean is delighted to welcome special guest poet/painter/performer Manisha Anjali into Castaway Studios to talk about her poetry and her creative process. Wonderful musician and songwriter Natasha Johanna joins Sean on Episode 16 to talk about her creative process and Sean talks a lot about death! Yay for death! Yay for Brisbane goths! Sean is thrilled to lean into it and have a cerebral discussion with Jessica Alice about all things writing and also pay special tribute to Kat Muscat. Jessica Alice is a writer, broadcaster, artistic programmer and newly appointed director of Writers SA. Sean speaks to The Mild (formally Wild) Bohemian that is musician Malcolm Hill. They speak of War and Peace, VHS tapes and Demis Roussos, among other things. Strap yourself in. More Than A Whelan goes regional for the very first time. 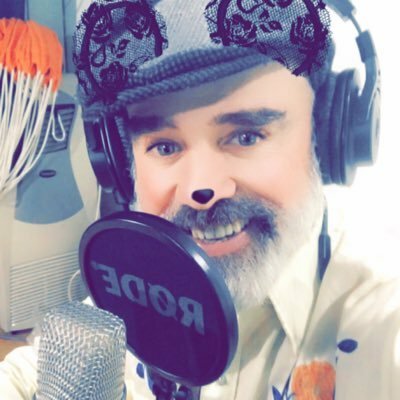 Stepping outside the comfort zone of Castaway Studios and into an other worldly zone of a converted Chapel built over 150 years in Fryerstown to talk to poet Andy Jackson. We welcome one of Australia’s finest singer-songwriters in the form of the wonderful Brooke Russell. And we’re very honoured indeed to have Brooke Russell write and perform a brand new song exclusively for More Than A Whelan. Cameron Semmens is the author of twenty one books. Twenty one! When's he's not writing poetry and making books, he's teaching workshops in poetry. He eats, breaths and drinks poetry 24/7 and he was an incredible pleasure to have a chat with. Thrilled to have our first MC’s in the house in the form of Mantra and Omar Musa. These two gentleman are not only extremely talented at everything they do, they’re also freaking hilarious. Have never laughed so much in the Castaway Studios! Sean welcomes a very special guest into the studio for Episode 9.... himself! Sean flys solo for this episode and talks about Liner Notes Love, an event he co-founded and has co-produced for over ten years, alongside Michael Nolan and Emilie Zoey Baker. 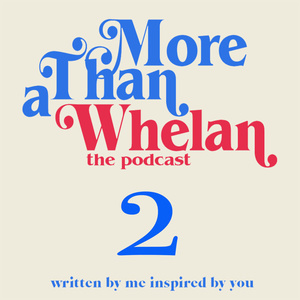 Sean is joined by literary blogger, publisher and writer Angela Meyer. Angela is the author of the newly released novel Superior Spectre. We are very excited to have our very first musical performance live in Castaway Studios by the wonderful Julitha Ryan. Julitha performs a piece written exclusively for MTAW inspired by listener supplied creative prompts of Minder, 1234 123 and Everybody Thinks You're Dancing. Cherished poet, broadcaster, musician and all round legend [Alicia Sometimes] joins us in the studio as a very special guest. 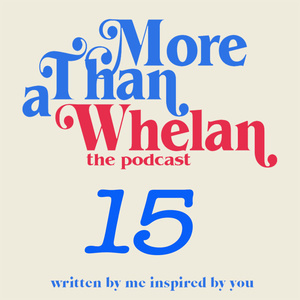 Alicia creates More Than A Whelan history by being the first guest to write a poem from creative prompts right there in the studio before our very eyes. Alicia also steps up to the More Than A Whelan challenge on a grand scale by writing a whole bunch of poems all inspired by our listener supplied creative prompts. 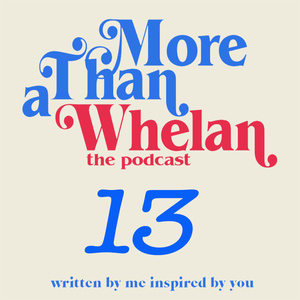 We are so very thrilled to have the one and only Angie Hart (Frente, Splendid) come into the studio and perform two poems created exclusively for More Than a Whelan and sing a poem by Dorothy Porter. YES, sing. Where Sean introduces the world to the concept of Poeoke: a combination of poetry and karaoke. Sean also performs his poem of the week and introduces a new segment called Whelan & Stealin'. Playwright Mr Dan Lee is in the studio as my very first guest, talking about Dan’s creative arc starting as poet, moving into comedy and now as a playwright. We have a chat about Dan’s play Bottomless which will be debuting in Melbourne in November at 45 Downstairs. Where Whelan tells you just how he became a writer in the first place. He takes you on a journey where a young wanna be novelist veers into the path of becoming a poet instead after his guitar is stolen from a sharehouse in Richmond. Whelan also coins the term for the writing genre 'Dirty Magic', a combination of Magical and Dirty Realism. For this episode Whelan performs two poems. One created by listener prompts. The other inspired by a writing exercise that involves closing your eyes and taking a book from a shelf at random and then writing something based on the title of that book. In this inaugural episode Whelan explains the origin of More Than A Whelan, the genesis of the show and the concept behind it. 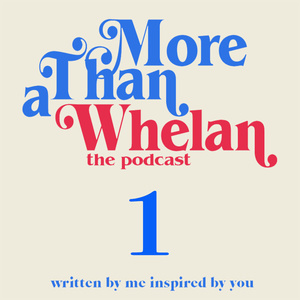 Episode one of More Than A Whelan is officially launched! 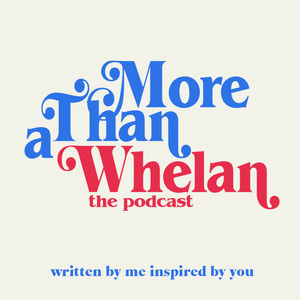 Whelan talks about the origins of the podcast, the theme of the show and performs a poem based on creative prompts suggested by supporters of More Than A Whelan. Talking into a microphone in a room all alone is harder than it looks.